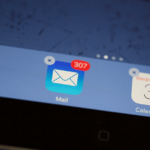 Several users have reported that they have had issues sending and receiving emails after updating to iOS 7. 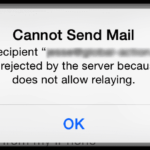 Users have encountered issues with Mail app not working properly after the iOS 7 update. Perform each set of solution steps in the order they are listed. Perform the steps and then test to determine if your issue is resolved after each step. Make sure that your iOS device has an active Internet connection. To check this, try accessing the Internet on your iPad/iPhone. 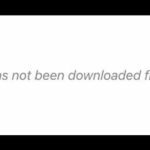 Simply launch Safari, and attempt to load a webpage (e.g. apple toolbox.com, apple.com or google.com). If you cannot load a web site, it is possible that your are experiencing connection issues. You may want to try fix this problem or you may want to try another Wi-Fi connection. 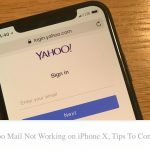 In some instances, you may not send or receive emails because your email provider’s servers (e.g., google or yahoo) might be down. Check their web site. Make sure that you are using the correct password for your mail account. Restart your iPhone, iPad or iPod touch by pressing and holding the on/off button until you see the “slide to power off” slider and slide the slider. Wait a few seconds until your device has completely turned off, press and hold the on/off button until you see the Apple logo. 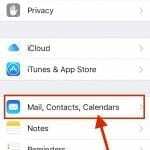 Tap Settings > Mail, Contacts, Calendars and select the the affected email account > Account > delete your password and reenter again. Delete the mail account that is not working. 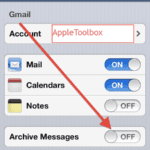 To do this, tap Settings > Mail, Contacts, Calendars and select the email account, and tap Delete Account. 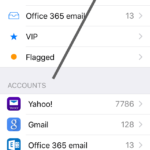 To add your account again, tap Settings > Mail, Contacts, Calendars > Add Account.